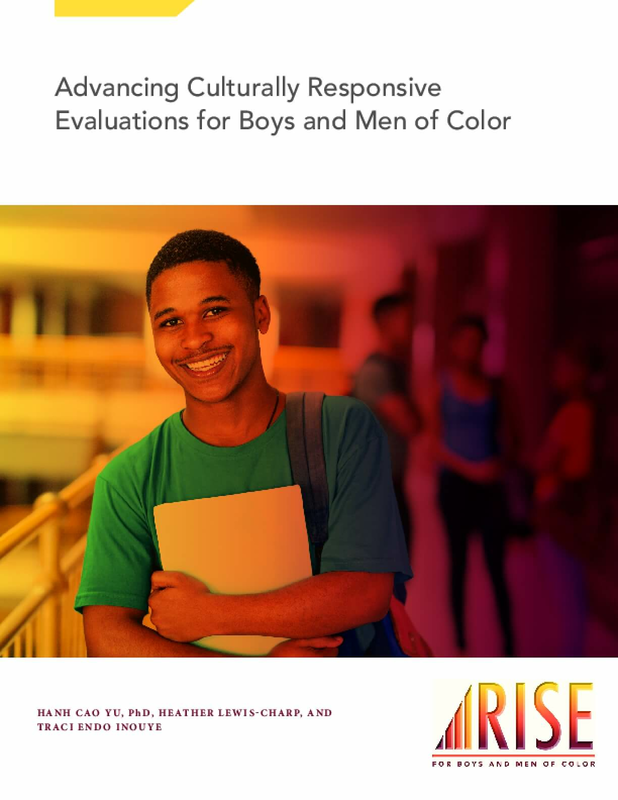 The field of culturally responsive evaluations (CRE) and comprehensive efforts to improve outcomes for boys and men of color (BMOC) are in their infancy. Yet attention to the development of the knowledge base and expansion of practice is needed due to the groundswell of interest in both areas in recent years. For instance, in 2014, President Obama established the My Brother's Keeper (MBK) Task Force. 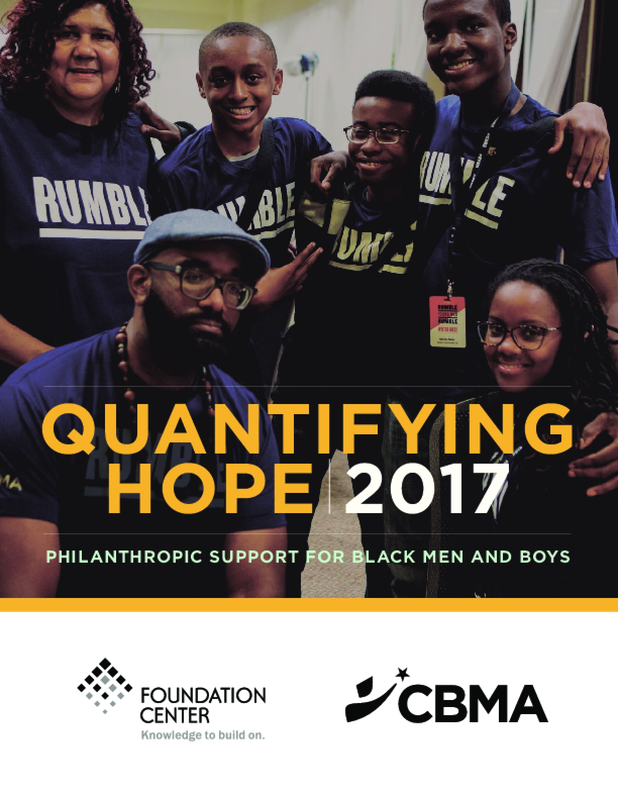 MBK is a coordinated federal effort with private philanthropic organizations and communities to address persistent opportunity gaps faced by BMOC and to ensure that all young people can reach their full potential. While BMOCs are the targets of many social programs and interventions, a dearth of high-quality culturally responsive evaluations exist on the effectiveness of various gender- and population-specific approaches for BMOCs to achieve measurable results. 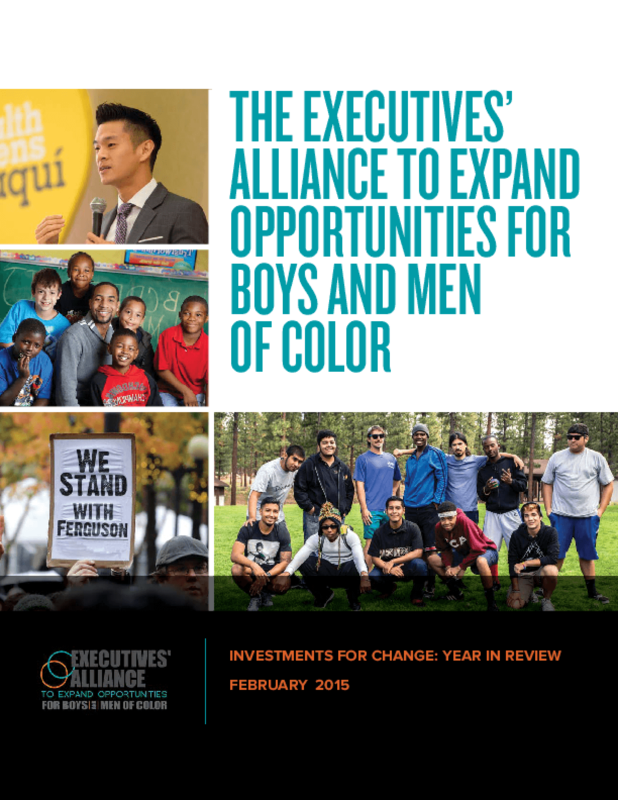 The Executives' Alliance to Expand Opportunities for Boys and Men of Color, a network of more than 40 national, regional, and local foundations, has taken aggressive action to improve life outcomes for America's boys and men of color in communities throughout the country. Member institutions of the Executives' Alliance have collectively awarded millions of dollars in the past year to improve education outcomes, reduce incarceration, ensure police accountability, and bolster job readiness. 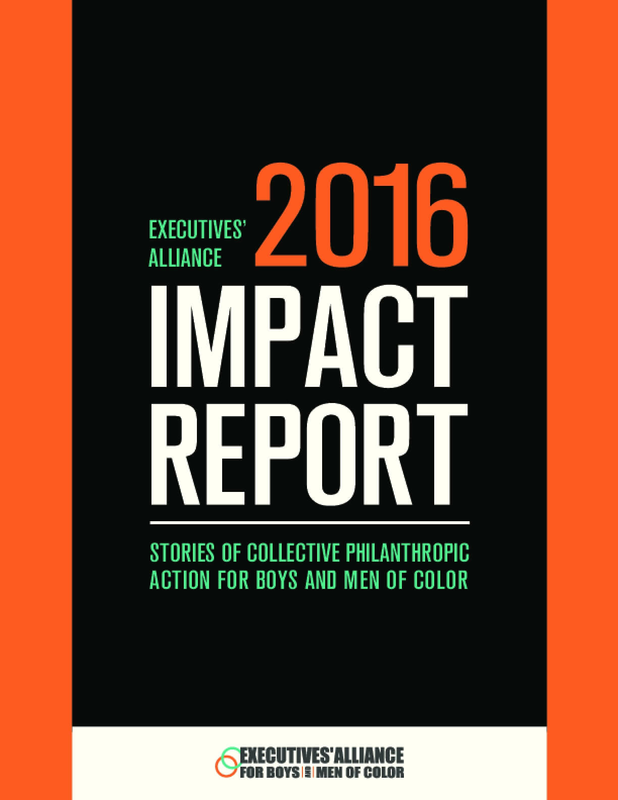 This report provides selected highlights of some these investments, activities, and impacts. 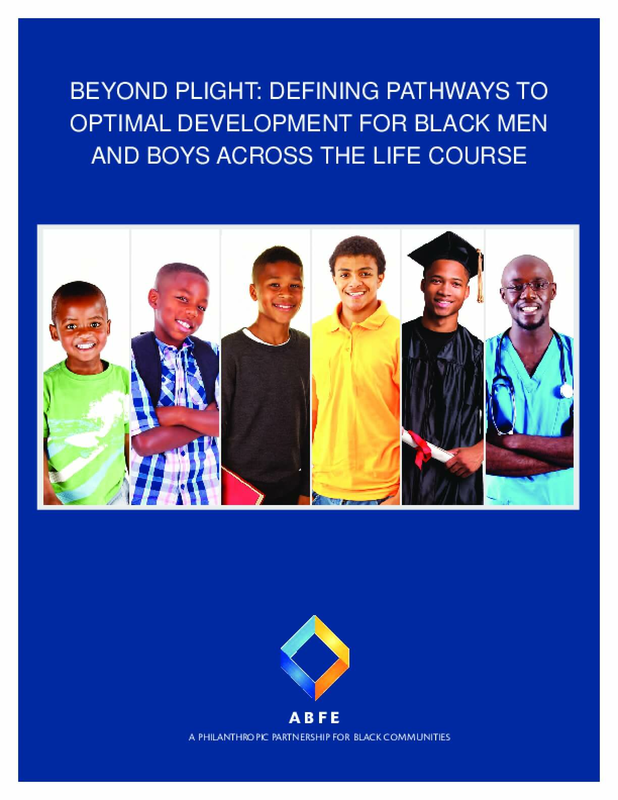 These investments, and many others like them, represent an effort to target critical intervention points and core policy solutions that can yield long-needed systemic change required to help boys and young men of color succeed.